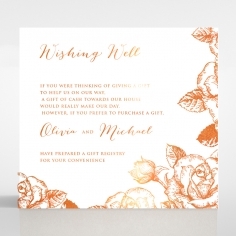 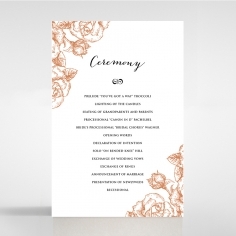 The ideal wedding invitation for romantics having a charming outdoor wedding or an intimate reception in a garden setting filled with blooms. 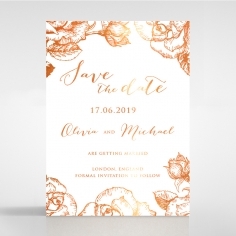 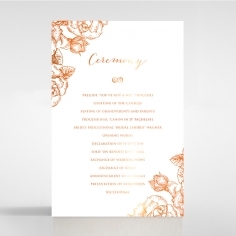 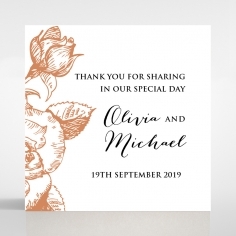 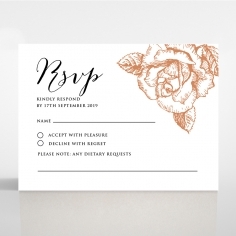 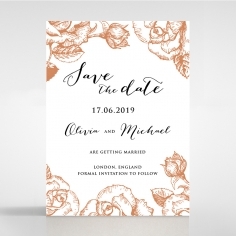 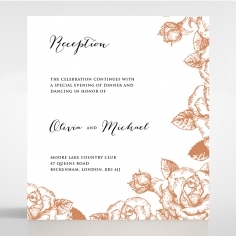 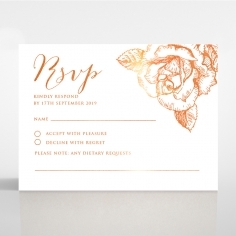 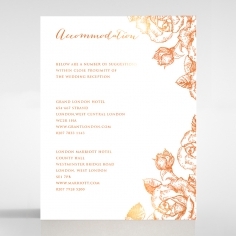 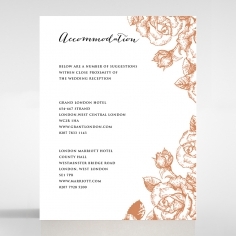 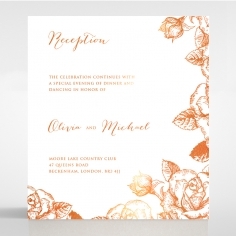 This exquisite letterpress rose garden-inspired invite exudes elegance, ultra-feminine sophistication and stylish appeal to suit both traditional and contemporary themed weddings. 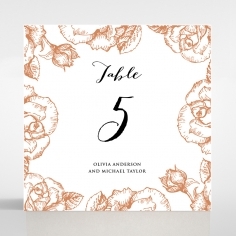 The combination of modern and old fashion styling lovingly entices and sets the tone for your special day. 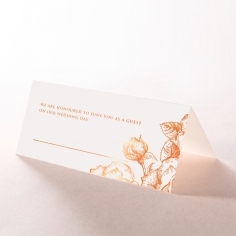 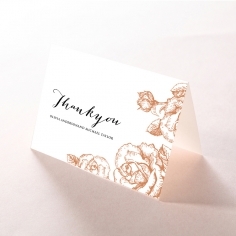 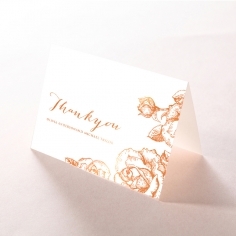 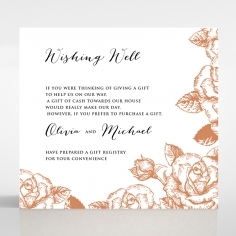 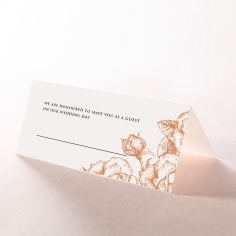 Elaborate detailing of roses raised on the surface of a luxury cotton stock is created by letterpressing from behind to produce a garden like frame towards the edges to highlight your personalised wording that is equally elegantly presented in bronze using foil stamping techniques.